Renewable Energy research and development. 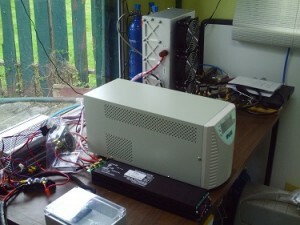 Fuel Cells for sale! AGO Fuel Cells is pleased to announce that we have begun selling Horizon open-cell fuel cells in the North American market to retail and industrial customers. These PEM fuel cells are ideally sized for integration into many alternative energy projects and products. Our experience with these cells has included the design and development of fuel cell systems to power two different electrically-propelled sailboats and supporting research projects into fuel cell electric bicycles and various transportation and auxiliary power projects. Larger sizes are available Please contact us for more information. My personnel favorite is the H2000 as it is every easy to interface with a 36 VDC battery system as see in the following photo. All of the fuel cells shown are available for order with a few models being available for immediate delivery. The prices for these products have been steadily dropping as the market demand increases so please contact us for current pricing information. AGO Fuel Cells also provides Palcan closed-cathode fuel cells. Please contact us for more information. AGO Fuel Cells is proud to distribute Horizon and YC Synergy Co., Ltd Electrolyzers/fuel cell for the production of hydrogen gas from water and solar or other green electricity sources. These electrolyzers are available in several sizes that can be matched to equivalent fuel cells or storage mediums. Using the electrolyzer to produce hydrogen gas from green electricity sources allows that energy to be stored in a convenient medium (compressed hydrogen gas) before reconversion to electricity by the fuel cell. 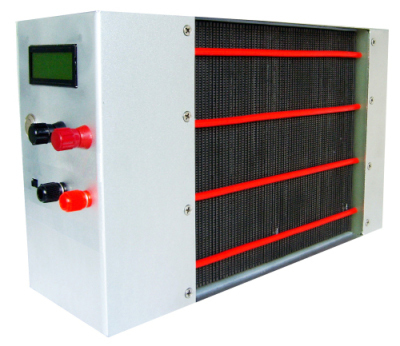 Horizon electrolyzer systems utilize chemical reactants to produce hydrogen from electricity. YC Synergy Co., Ltd electrolyzers are based on a reverse-PEM technology that is environmentally friendly and use no hazardous chemicals. These electrolyzer systems are just coming to market so please contact us for more information regarding technical specifications and pricing. Copyright © 2019 AGO Fuel Cells. Powered by WordPress. Theme: Spacious by ThemeGrill.